Day camp designed especially for our youngest artists ages 2-5. Includes projects from clay to mixed media for your little Picasso or Frida! Click on a session below to register online! Creative experiences for children 13 – 16 years old. Students receive hands-on art instruction as they visit museums, galleries, and artists’ studios and learn about creating murals, pin hole cameras, screen printing, graffiti and more! Click below to register online today! The summer camp that is all about art! Join us for an exciting art adventure filled with creative art lessons that will enliven the imagination. 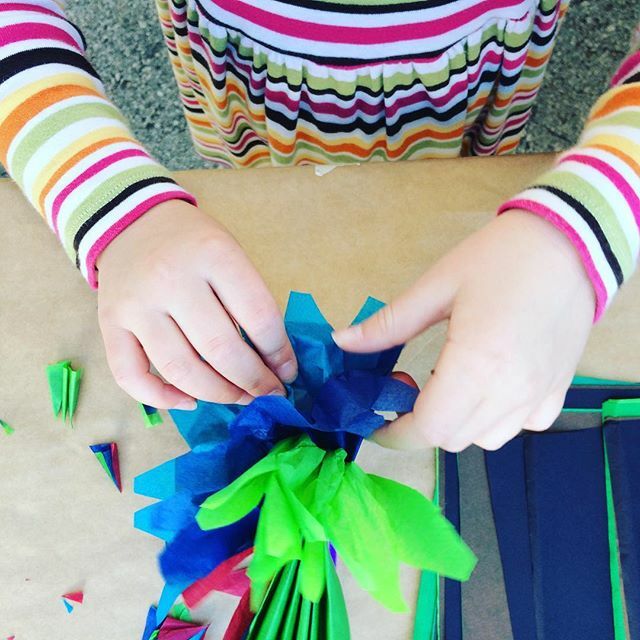 Four one-week sessions are offered each summer, covering five areas of art instruction including ceramics, fiber/craft, cultural art, mixed media and painting/printmaking. NEW FOR 2019! We are offering 2 NEW themed weeks of Art Camp! Session 1 – 4 Days of STEAM! Fun with Science and Art! We will focus on the importance of ART in Science, Technology, Engineering and Math. Students will rotate into 5 areas of art instruction all concentrating on the importance of adding ART to STEM to make it STEAM! Session 3 – Out of This World: Mermaids, Unicorns, Aliens, Pirates and So Much More! Students will explore a fun world of imagination through ART! We will concentrate each day on something new and exciting! From Unicorn or Monster clay creatures to Pirate and/or Mermaid paintings! * Please bring a sack lunch Tuesday-Thursday. On Fridays we have a cook out and families are invited to sign up for the pot-luck. Scholarships may be available, please contact 816-221-2349 or artsinfo@mattierhodes.org.